The holidays are fast approaching. Are you ready? All done? Barely started? 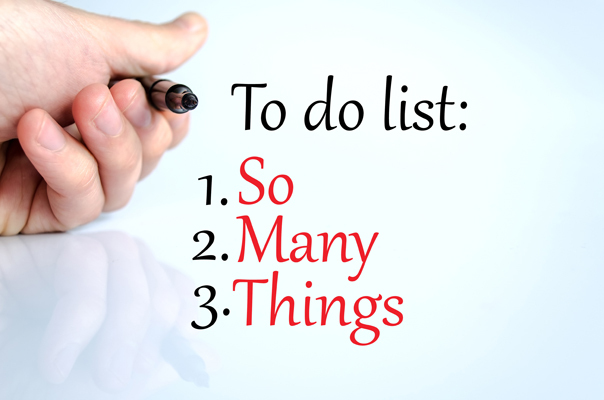 Is your list overloaded? Or are you the master of your calendar and your life? If so, I applaud you. I’ve been almost overwhelmed juggling tasks like preparing for a new release, Leaving Cub Creek (the sequel to Cub Creek) along with family issues, a full time job, etc. LIFE. We all deal with this stuff, right? A list of what we’re committed to doing, aspire to doing, that which we must do despite our wishes…and that list is always longer this time of year. Except for a few presents, I’ve done no Christmas shopping and I’m feeling the pressure to catch up. On the flip side, we won’t be home for Christmas this year so I’ve scratched Christmas trees and other decorations from the to-do list. We are going to be in Hawaii for Christmas, so planning and packing must replace them on the list. Have you ever felt the need to pare down and simplify your life? That thought brings Cub Creek to mind. In Cub Creek, Libbie Havens left the city because she couldn’t think amid the chaos. Some people love city hustle-bustle, but not Libbie because she has sensory issues that cause her to overload emotionally. A move to the country and acres of woods seemed the perfect solution. Removing the extraneous would reduce the chaos and allow her to focus on her life and live on her own terms. Unfortunately, most of her troubles were her own, inside her, not borne of the outside world. Many of her troubles went with her to Cub Creek. After many ups and downs, Libbie found love. 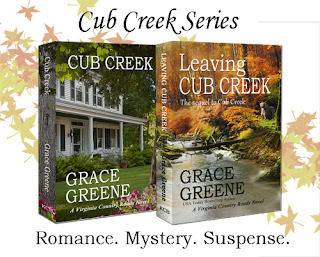 In Leaving Cub Creek, Libbie discovers that love can be easier to find than to keep. Libbie thought that removing the external chaos would allow her to better manage her life. I’d like to strip away the unneeded excess in hope of finding the peace and joy hidden within it. 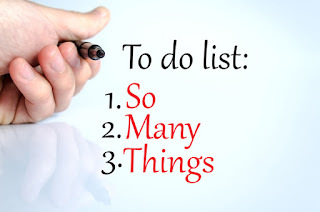 I really do want to stop and savor the moments of life—not to be consumed by checking must-dos off the list. To return to the original question: How are your preparations for the holidays progressing? For those of you who, like me, are feeling over-burdened—I have learned a lesson over my many years of preparing for the holidays. Make up your mind that, at a certain point, that whatever hasn’t been done, won’t get done. Be okay with it. The truth is that, more than likely, no one will notice but you. 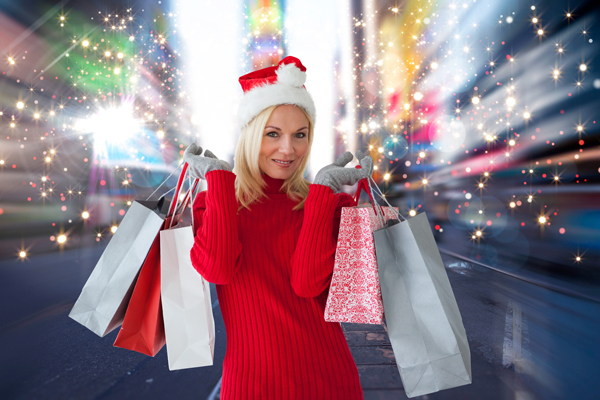 By the time your family and friends start gathering, get your mind out of the list and into that happy space and cast off the must-dos and what-ifs. The most important point of all: When you’re looking to lighten your ‘life’ list, make sure you toss the truly extraneous and hold on to what’s important—the joy. Libbie Havens never fit in. She bought the old Carson place on Cub Creek and moved to the Virginia countryside to prove she could live on her own terms. In the process, she learned some truths about herself and found love ~ but love, acceptance and belonging can be easier to find than to keep. While on a trip to Sicily with Libbie, Jim Mitchell must leave suddenly because his son is injured in an accident in California. Now alone, Libbie is surprised by an old friend, Dr. Barry Raymond, but Dr. Raymond is a reminder of her troubled past and she’s glad to see the last of him when she leaves Sicily ~ until he shows up at her house on Cub Creek. Years before, Dr. Raymond had told Libbie that if troubles weren’t dealt with, they’d keep coming back. With Jim still away helping his son, Libbie’s troubles are returning in force and wreaking havoc on her confidence and their relationship. Libbie would rather hide than risk rejection, but she must face down the past and fight for what she wants, or the troubles that haunt her past and present will forever doom her future. Grace Greene writes novels and novellas of Romance & Inspiration in her Emerald Isle, NC stories, and Love, Mystery & Suspense in her Virginia Country Roads novels that include Cub Creek and Leaving Cub Creek. Please visit Grace at www.GraceGreene.com and subscribe to her newsletter. Thanks for visiting the Sweet Romance Reads authors. Please sign up for our Sweet Romance Reads newsletter right here on this page. We'd love for you to visit us on Facebook, too. Check out the Sweet Romance Reads Café and our Sweet Romance Facebook page, too. The authors would love to chat with you and you can participate in our contests and giveaways. Since I'm not buying gifts since I can't afford to I'm done since I never had to start. Hi, Susan and Diane - Thanks for visiting the blog. For some reason my laptop won't allow me to reply directly to your comments, but I wanted you to know I appreciate you stopping by! We finished the shopping and wrapping. Packages and cards went out yesterday. Feeling better prepared this year compared to the last few years. For some reason trying to decide what to cook for the main meal has been difficult (we decided to go with tamales for our meal), but baking hasn't been an issue this year. We did wait for our daughter to get here to decorate the tree. That helped with the to-do list. Hope you have a great Christmas! You are in great shape! Tamales! Excellent choice. Have a wonderful Christmas!